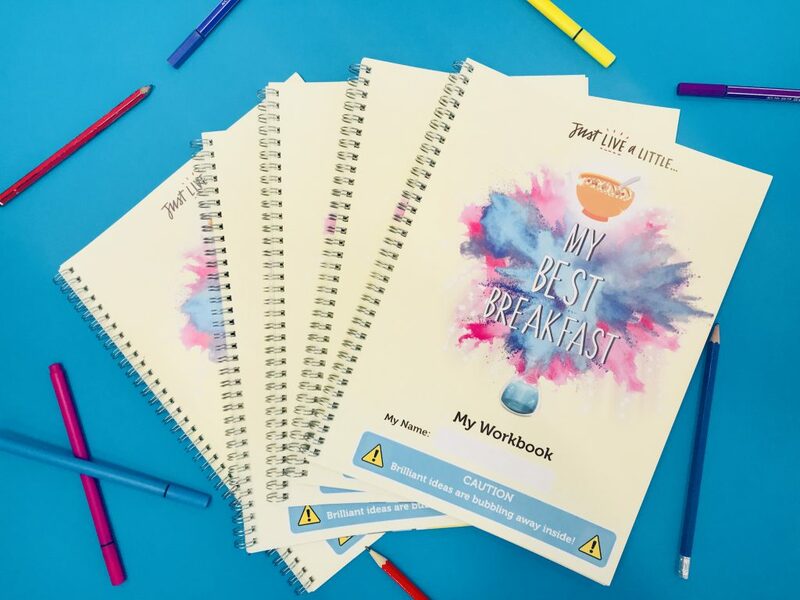 From a recipe with everything under the sun in it being called ‘Why Not?’ granola to ‘Oat + Protein = Oatein’ granola, we had a fabulous day yesterday at Portaferry Integrated launching the My Best Breakfast workshop with Just Live a Little. 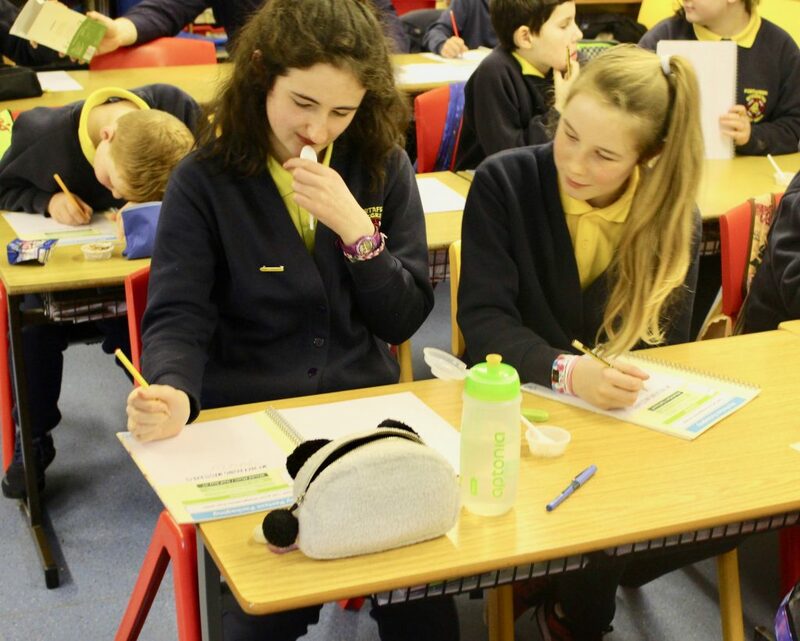 If you have read our earlier blog – My Best Breakfast, then you’ll already know that alongside Just Live a Little we’re waging the war on sugar cereals by letting P7’s dream up & jot down their Best Breakfast and Perfect Packaging – with a lot of good stuff (fruit / oats), a little of the ok stuff (yoghurt) and less of the bad stuff (sweets!). Our workshop kicked off at 11am where we talked to the students about what they had for breakfast that morning, or if they had breakfast at all! David and Jill demonstrated all the different seeds / oats / fruits that can go into a breakfast and still taste delicious! 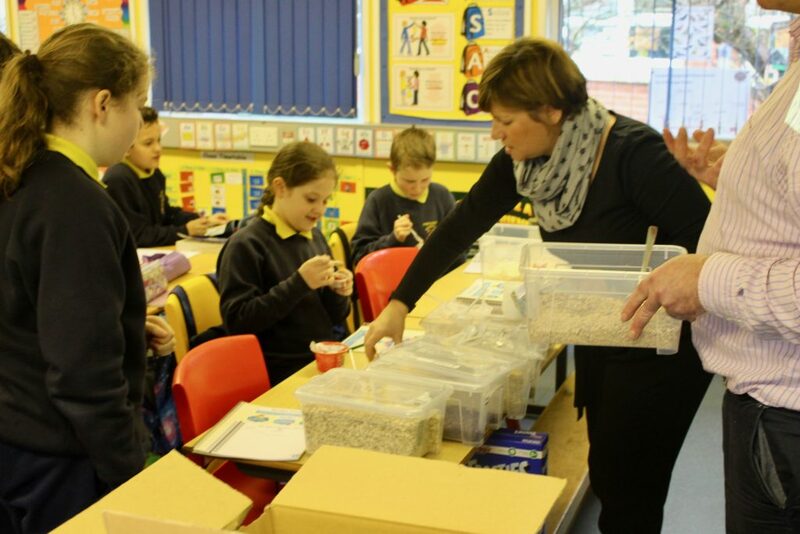 Then they handed out some ‘Power Powder’ a top secret cocoa powder granola mix, topped with strawberry yoghurt and strawberry in taster pots that the kids loved. 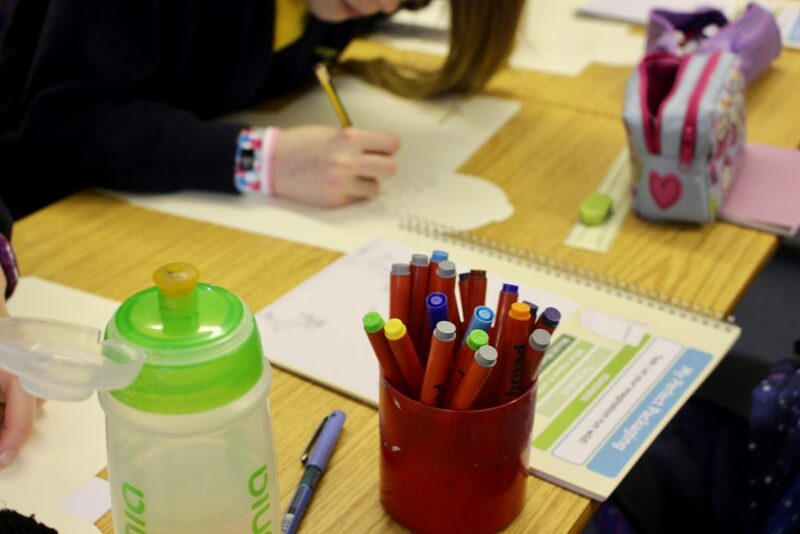 It certainly got the creative juices flowing! Our little chefs then wrote down all the things they would have in their Best Breakfast – we had some interesting combinations of mango, kiwi and precisely 3 marshmallows! With their rather amazing recipes complete, it was Priory Press Packaging’s turn to talk about the importance of packaging. I.e, you have a great recipe, now how are you going to get Mum & Dad to buy it! This is when imagination took over the whole classroom! We had every colour ever made, characters we couldn’t have thought of and fantastic names that will stick in our mind for a while. 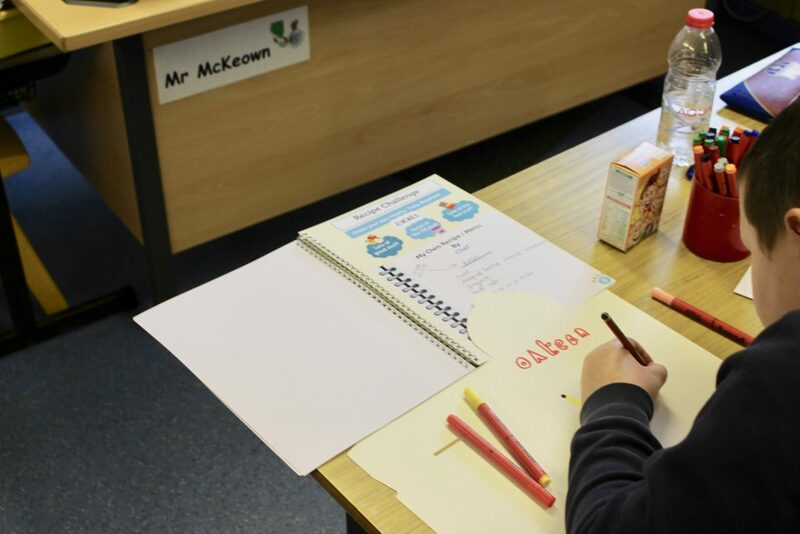 We left the students with their workbooks and blank Just Live a Little prototype boxes to draw on. They’ll be collected when the students are finished, and in the running to win breakfast for their family at Hastings Hotels! 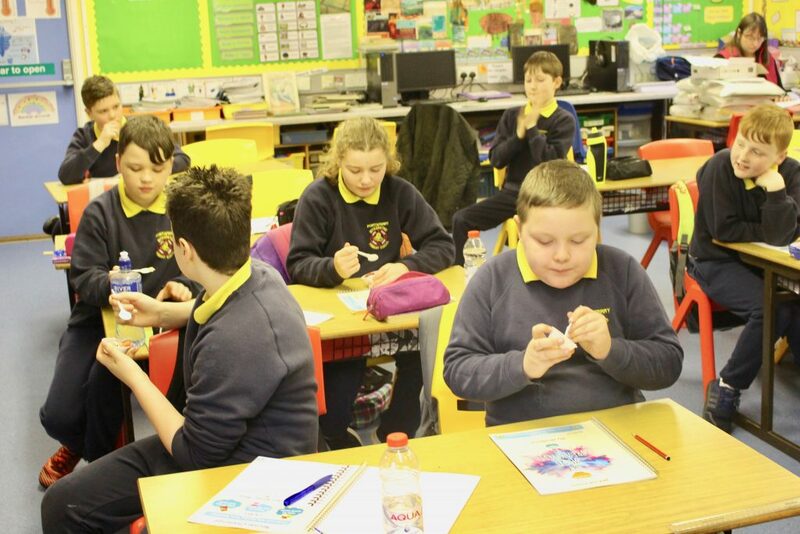 We were delighted to provide the P7’s with a fun and educative morning! 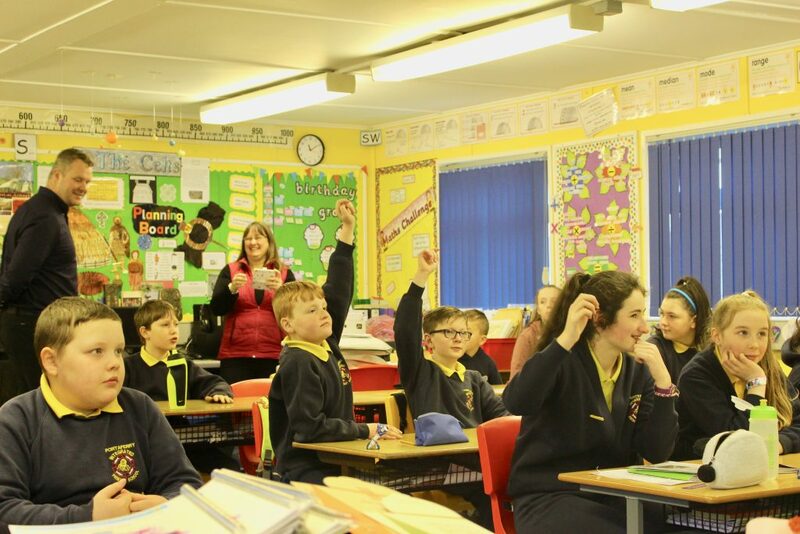 & Thank you to Portaferry Integrated Primary School and Mr McKeown for having us. Just 5 more schools to go! PreviousPrevious post:Irish Beauty Show 2018 Round-UpNextNext post:Belfast Met Graphic Design Student Visit!